One of the most recent inventions in video card technology is that of the external video card. These external Graphics Processing Units (GPUs) plug directly into one of your computer's USB ports and can potentially increase your 3D graphics performance. External graphics cards are mainly targeted at those looking for high-end performance and those who want to run dual monitors. But they are especially aimed at laptop users who want to upgrade their graphics performance. Most built-in laptop video cards don't provide ample performance to run the latest games at good frame rates, and on top of that they tend to share the laptop's physical memory which slows down performance. So if you're looking to upgrade your gaming laptop's graphics card then an external graphics card could be the answer. Installing an external card is simple as most of them just plug directly into a free USB 2.0 port. 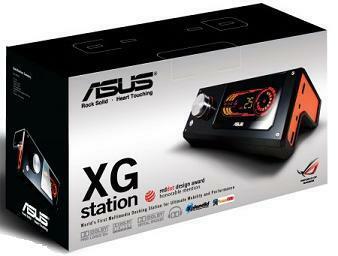 Some external graphics cards install differently though, such as the Asus XGstation. This external card connects to what's called an ExpressCard slot, which is built into most newer laptops. As well as providing extra performance for your laptop, plugging your external video card in this way give you the option of overclocking the card for even more speed and power. The Asus XGstation also comes with dual DVI connections to power multiple monitors. The other great thing about external cards is that it can provide great high-performance 3D graphics without heating up your entire computer. The more powerful the card the more heat it will produce, but you don't have to worry about this with external GPUs since they usually have their own external cooling system too. The advantages of using an external GPU are obvious, but there are a couple of minor disadvantages that you might want to be aware of. The first being that you need to carry around the external card along with your laptop, and some of the more powerful units are quite bulky. The second being that most external graphics cards require their own separate power connection. In truth these drawbacks are very minor in relation to the benefits of external GPUs. So that being said, if your laptop's graphics performance is sluggish then you might want to consider buying an external video card to get your system running smoothly again. It's definitely cheaper than buying a new laptop.